The researchers, collaborating with cardiologists at Arkansas Children’s Hospital in Little Rock, tested a new ultrasound technology called vector flow imaging for the first time on pediatric patients to create detailed images of the internal structure and blood flow of the babies’ hearts. The images can be still or moving, and can be taken from any angle. Jensen performed the study with a multidisciplinary team, including Dr. Hanna Jensen, clinical assistant professor of biomedical engineering at the U of A; Dr. Thomas Collins, clinical associate professor of pediatric cardiology at Stanford University School of Medicine; and researchers at University of Arkansas for Medical Sciences (UAMS) and Cincinnati Children’s Hospital Medical Center. Their findings were published in Progress in Pediatric Cardiology. 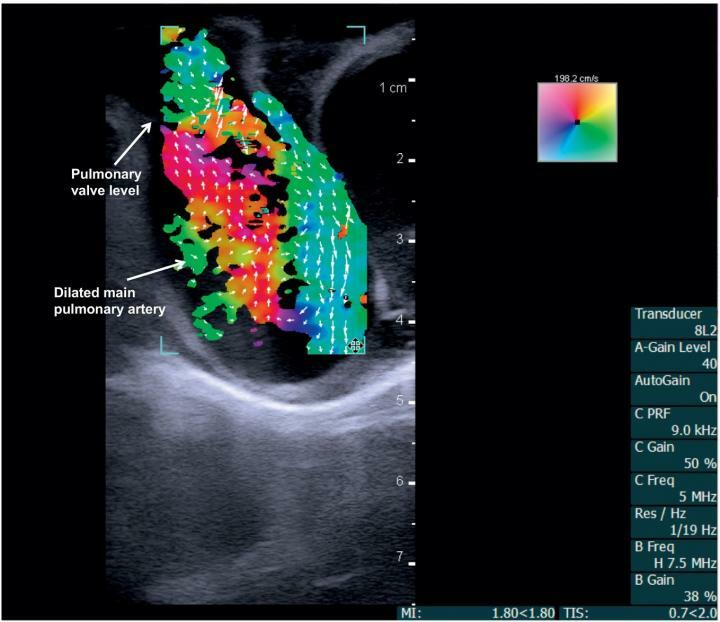 Using a BK5000 Ultrasound machine with built-in vector flow imaging, the researchers performed successful tests on two pigs, one with normal cardiac anatomy and one with congenital heart disease due to a narrow pulmonary valve and a hole within the heart. The researchers then compared the vector flow images to direct examination of the pigs’ hearts. All procedures, both animal and human, were performed at Arkansas Children’s Hospital with assistance from Dr. Elijah Bolin, pediatric cardiologist at UAMS. “We are still getting used to having this great, new information readily available, and we’re excited about the future in both research and direct clinical advancements,” Bolin said. This project was supported by the Arkansas Children’s Research Institute, the Collaborative Nutrition Pilot Grant and the Arkansas Research Alliance.